Keith Urban’s new single, “The Fighter,” which features Carrie Underwood, will make its broadcast debut at the Grammy Awards on Feb. 12 as Keith and Carrie team up for a performance of the song. 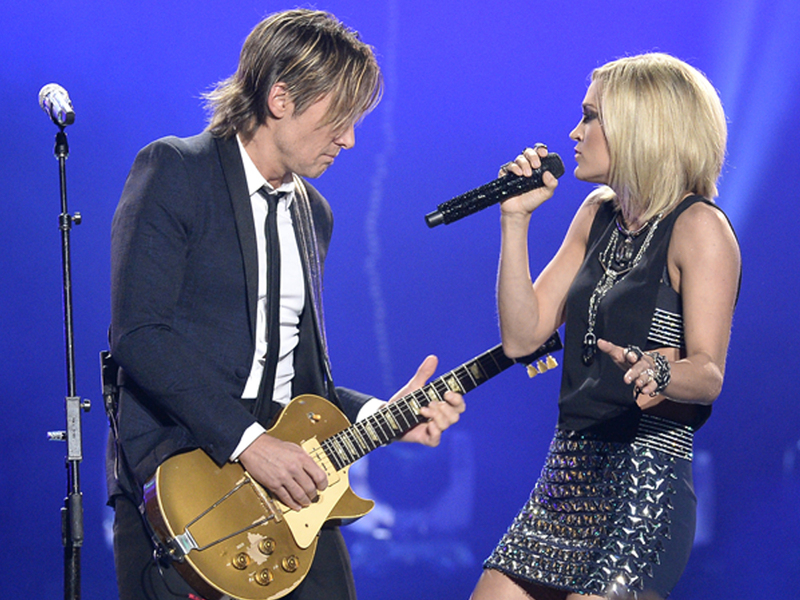 “The Fighter,” which is the fifth single from Keith’s Ripcord album, is his first-ever duet with Carrie. The tune is built on spacey guitars, sweeping waves of synth and a futuristic Top 40 feel, but its theme is all country: a question-and-answer story about a girl making sure her commitment to a new love isn’t a mistake. After writing the tune with busbee, Keith knew it needed a commanding female presence and Carrie’s voice seemed perfect for the job. Listen to “The Fighter” below, and tune in to the Grammys on Feb. 12 on CBS.